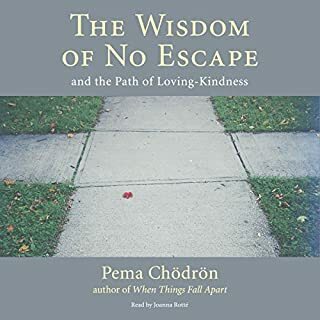 Here, Pema Chödrön offers us her heartfelt advice on facing the unknown - in ourselves and in the world - and how our missteps can open our eyes to see new possibilities and purpose. 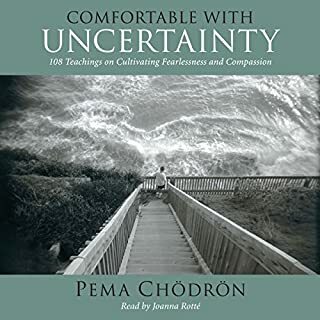 For listeners of all faiths who are at a life crossroads, this brilliant gem of kindness and clarity is sure to earn its place in our kitchens, offices, and backpacks, ready to help us get back on our feet and into our hearts. 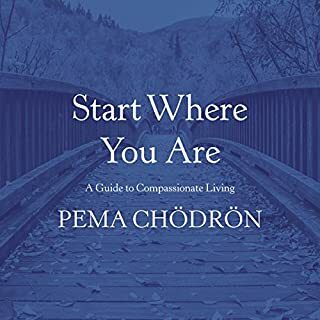 Includes an in-depth interview with Pema Chödrön and Tami Simon. Beautiful wisdom words as always. Many thanks. We are taught to live life completely even though it may be difficult. What I like most about this talk is Penas sense of humor! and relate-ableness! It is a graduation talk in part 1 and part 2 is an interview with Tami from Sounds True. Which is really insightful. 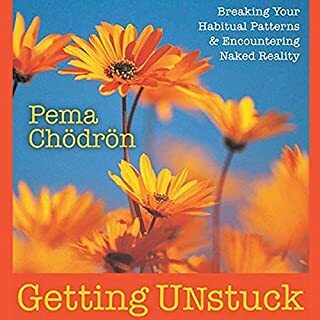 It talks about Pemas life before becoming a nun. Very short and straight to the point. Love it. Along similar lines as Brene Brown. As I listened to this piece I was driving to & from physical therapy for a high ankle sprain I suffered just before Christmas. This was my second Christmas without my dearly beloved husband of 45 years, who died of lung cancer on April 23rd, 2014. On January 7th, my employer of 15 years phoned to say that my position was being eliminated effective next Monday. I am now a 70 year old soon to be unemployed exercise specialist and Pilates teacher. 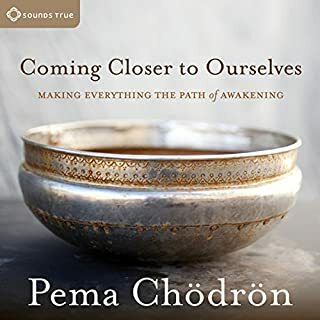 Listening to Pema Chdron's excellent commencement address buoyed me up and prepared me to catch the next wave. 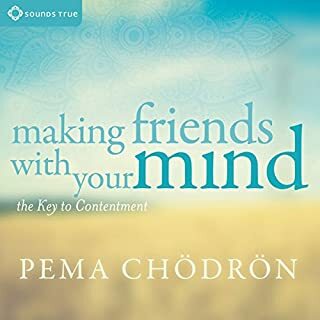 Thank you so much for this humorous and inspiring listen. Pens has an amazing way of sharing lessons. This was a great listen...however at times the lack of pop filter for the interviewer made the whistling S's actually painful to my ears. Inspiring and valuable. 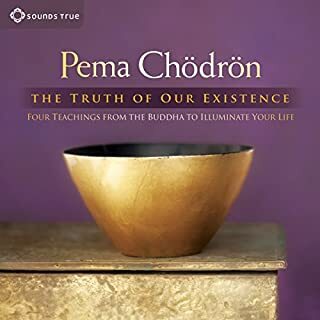 I'm so glad Pema's books are on Audible! She delivers life lessons with joy and humor. I highly recommend it. This is a must read for anyone stuck in the not knowing. That's the place where miracles form. 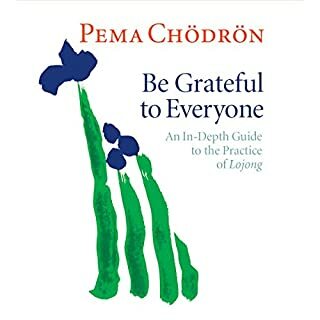 I was not overly familiar with Pema's work before this, but I found her engaging and wise at the same time. an enjoyable and helpful listen. 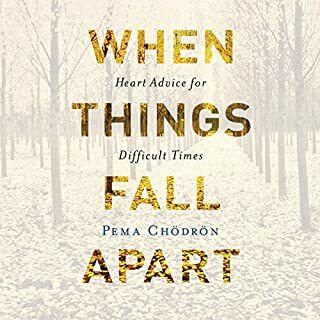 Very very inspiring and comforting teachings for those difficult times in life. Like a fresh breeze to clear the mind. 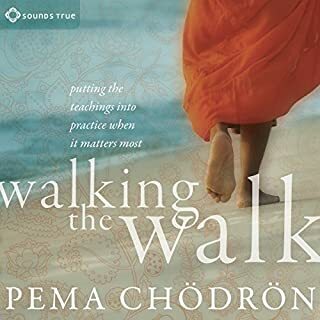 Pema Chodron offers a unique ability to provide wisdom and honesty in a way that is both supportive and challenging. If you have struggled with feeling like you were a failure she inspires you to go deeper into your own limited sense of yourself. 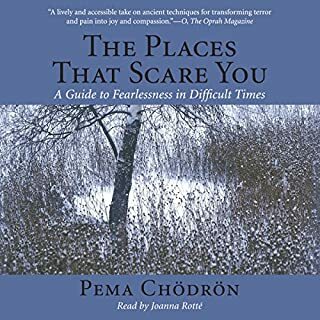 I am about to gift this audiobook to everyone I love. I just went through an ugly break up & was told my job will be relocating to another state. failings in life and work. 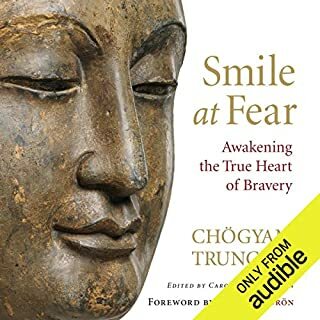 Instead of the usual bulls..t about having to brainwash ourselves into methods to be successful all the time, this book points to our reality and says how to live with daily failure and become better at dealing with it, while showing kindness and respect for ourselves and others. 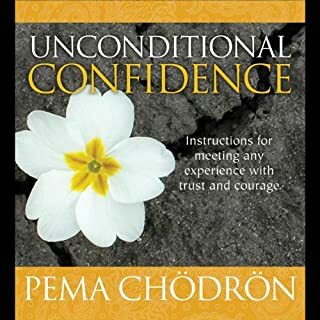 It doesn't tell us to replace experiences with more "successful" approaches, it instead asks us to be brave and lean into the negative feelings and make friends with them, thereby making friends with ourselves, and consequently others. 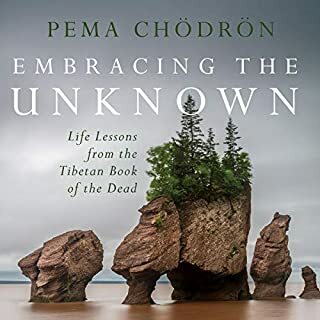 The narrator, Pema the author, is so down to earth that her humility, and her descriptions of her own experiences can only make you empathize, and a lot of the time you'll find yourself laughing out loud as you listen. It's a real treasure. Enjoy. This is composed of two parts. 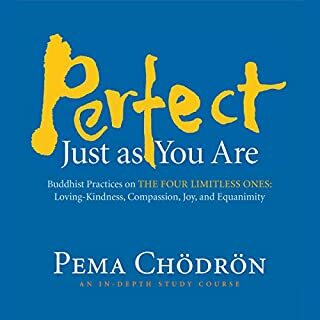 Part One is a speech that Pema gave to a graduation ceremony at a University in the US. Part Two is an interview with Tami Simon. 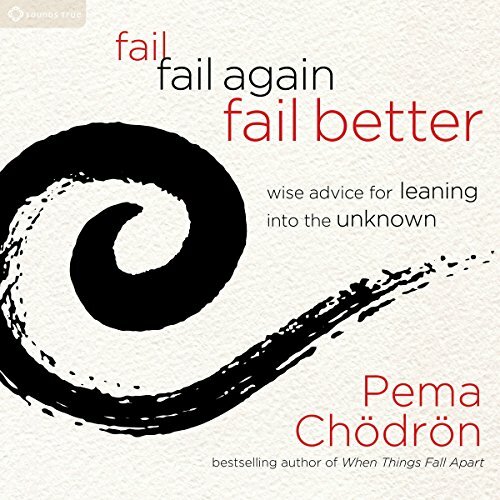 Both are interesting, discussing the theme of failing, and failing better. Of the two parts I found the interview much more insightful. 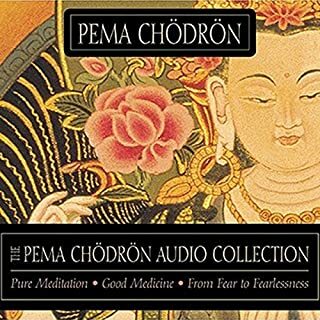 The first part is enjoyable to listen to, Pema is always insightful, compassionate and funny. But the second part gave a real insight in to her own life experiences, the path she has taken, and her life in relation to the theme. I thought the questions were kindly and carefully presented and presented real opportunity for teaching. 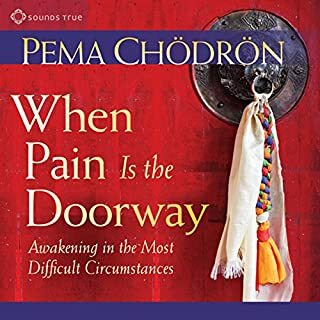 Would you try another book written by Pema Chödrön or narrated by Pema Chödrön? 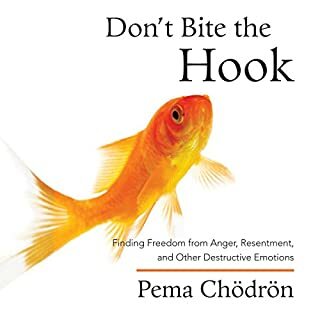 What could Pema Chödrön have done to make this a more enjoyable book for you? It was not very profound or core shaking, just a conversation. I didn't feel it was meaningful for me. May be it could be the right one for someone else. Just not for me!